Enjoy Payson’s 5x3, 21 fixed lines video slot, which will show you how to rob the museum, where the world masterpieces are hidden. 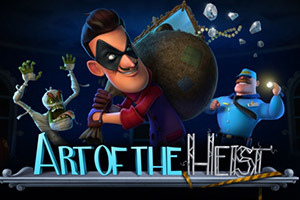 Let Vincenzo complete the Robber’s Pathway to trigger Free Spins. There are special symbols: some of them help you on your way, and some are obstacles. Mona Lisa picture symbol triggers the Bonus Game, where you have to explore rooms and find the alarm control. Wild symbol will not only substitute all symbols but if appearing in the same cell with Vincenzo, grants additional Free Spins. And you can see your collection of masterpieces and total winnings in the Award Room. During the Main Game, the Thief moves forward and backward on the game field only when influenced by special symbols. The Alarm Panel symbol moves Vincenzo 1-3 steps ahead. The Mummy symbol repels Thief 2 steps back. The Security symbol detains Vincenzo for 3 spins. The Pathway consists of 16 steps and at the end of it, Free Spins are activated. Wild symbol substitutes all symbols, except Bonus symbol. Adds 1-2 Free Spins to the Free Spins counter. Bonus Game is activated when the Bonus symbol appears in the same cell with Vincenzo or when he steps onto it after a spin. In the Bonus Game, you have to open rooms to find a room with the Alarm Panel to switch it off and steal the world-famous masterpiece. There are 15 rooms on the screen. A player can open rooms which are adjacent to already opened ones and are indicated by the arrows. At the beginning of the Bonus game, a player is given 7 keys, meaning 7 tries. The rooms may hide room with an additional key, room with a Security officer, who takes away one key, and a regular room with small winning. Bonus Game end when you run out of keys or when you find an Alarm Panel Room. When the super bonus prize is won, a player receives a winning and a painting, which can be found in the Achievement section of the Pay Table. Bonus Game is played with the last bet set. Free Spins collected during the Main Game. Additional Free Spins cannot be gained during Free Spins mode. There are special Stacked Wild symbols, which appear only during Free Spins and substitute all symbols. 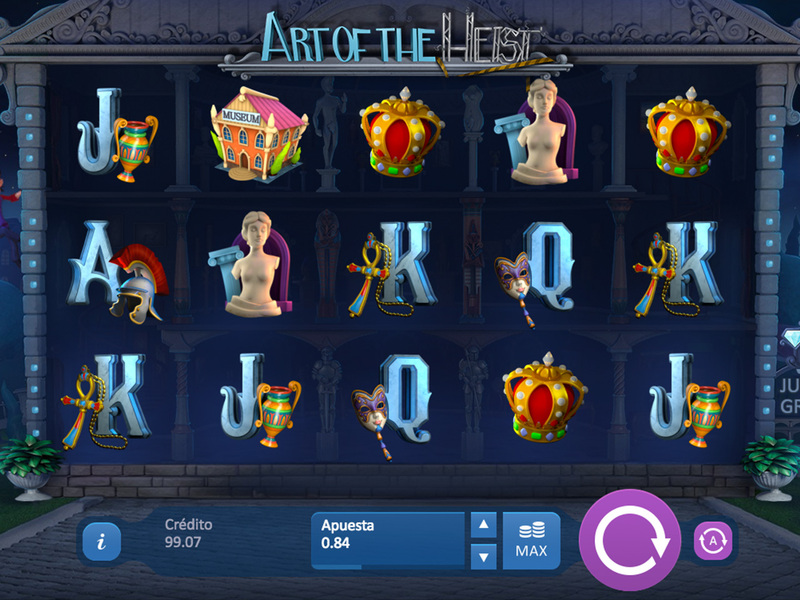 During the mode, payments are made based on an average bet during the Main Game.